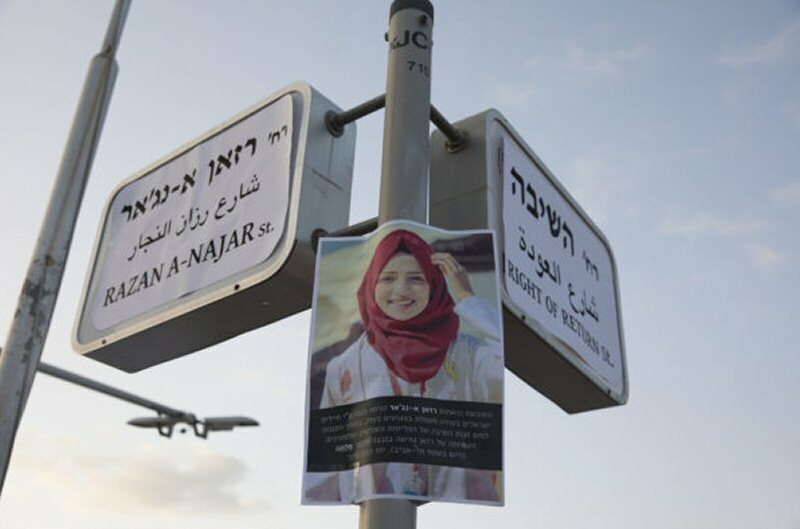 In response to a call for solidarity from Gazan women, a Jewish activist group dubbed “Return” gathered to hold a memorial for Razan AlNajar, at the location of her village of origin, Salameh. While thousands of women marched towards the border in the Saja’iya area in Gaza, the activists held a ceremony honoring Razan and the protesters shot dead by Israeli snipers. 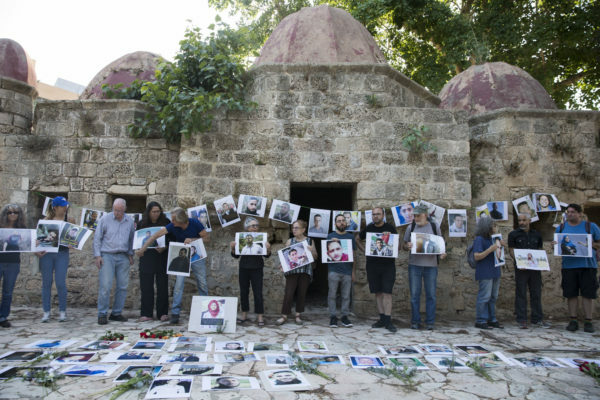 The activist called for the implementation of the right of return and hung photos of the slain protesters placing flowers and candles on a structure that proceeded the Zionist state. The steering committee of the Great march of return published a call for people to commemorate the fallen protesters. Return has been organizing commemorations inside historical Palestine in locations including the Gaza border fence and the Israeli parliment. Other such memorials are taking place around the world. The protestors changed Hertzel streets on the road between Salamah and Jaffa to Al-Awda street and Ben-Zvi street to Razan Al-Najar street. “Razan did not see Salama, but she and all the refugees who are not present here physically are always present here with us, as a void an absence, something that is missing here until their inevitable return. ” stated one of the activists.